The media have found a creative new way to explain away Hillary’s Clinton’s crushing defeat and their own humiliation. They have dubbed the agent of their mutual undoing “fake news” and talk about the phenomenon as though it made real sense. In an all too typical New York Times opinion piece this week Michael Lynch defines “fake news” as “pure fiction masquerading as truth” and presents it exclusively as a “right wing” phenomenon. Like many of his colleagues, Lynch suggests the Russian government was involved in planting fake news items and believes that such items, regardless of source, may have cost Hillary Clinton the election. 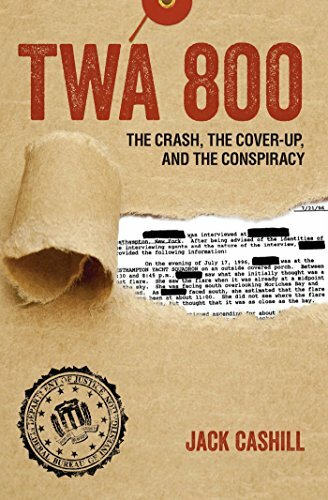 TWA 800: The Crash, th... Jack Cashill Best Price: $6.00 Buy New $14.59 (as of 08:35 EDT - Details) To test Lynch’s thesis, we might profitably select a presumed “fake news” item and follow its course through what the Clintons once called the “communication stream of conspiracy commerce.” In August 2010, the Times identified a news item simple enough and seemingly fake enough, “Obama uses a phony Social Security number,” to makes a useful case study. Tracking this story, one finds its source not in Russia, but in Ohio. The person responsible for surfacing the number is a licensed private investigator named Susan Daniel. In 2009, troubled by the drift of the country under Barack Obama, she and fellow investigator Neil Sankey began to plow through proprietary databases and investigate Obama on their own time. What they discovered is that from 1986 on Barack Obama has been using a Social Security number that seemed to originate in Connecticut. In the August 2010 article — “In Defining Obama, Misperceptions Stick” — the Times led with the SSN accusation not to explore it but to dismiss it. They simply presumed this question, like more involved questions about Obama’s faith or family origins, to be “misperceptions” unworthy of exploration. 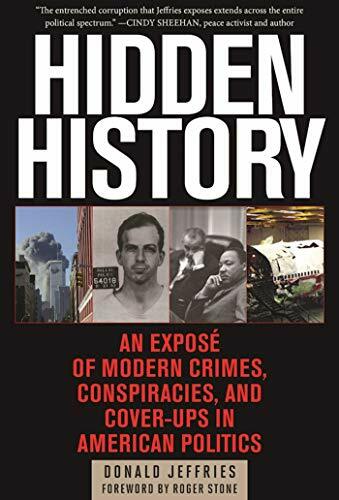 Hidden History: An Exp... Donald Jeffries Best Price: $12.98 Buy New $18.99 (as of 08:45 EDT - Details) Daniel believes that the number is more than a curiosity. She believes the number was stolen. When Obama applied, numbers were assigned based on where the applicant received mail. As Daniel notes, and Snopes grudgingly concedes, numbers starting with 042 were for the exclusive use of those applying from Connecticut. Obama’s half-sister Maya, by contrast, has an SSN that starts with 576, as do other Hawaiians her age. Daniel’s theory got lively play on the outer reaches of the Internet — “an open sewer of untreated, unfiltered information,” according to the Times’ Thomas Friedman — but could not get past the respectable conservative media firewall surrounding the Obama White House. Bill O’Reilly of Fox News did raise the issue only to dismiss it, arguing that Obama got the number from his father then living in Connecticut. In reality, Obama Sr. never lived in Connecticut and left the United States more than a decade before the number was issued in May 1977. Snopes took another tack. “The most likely explanation for the discrepancy is a simple clerical or typographical error,” its editors insisted. Certain Danbury, Connecticut zip codes do begin in 068 while those in Hawaii begin with 968 — one easy keystroke away. In her research, however, Daniel discovered that Obama lived in only three different Hawaii zip codes. In checking with the Danbury Post Office, she discovered that two of the corollary zip codes never existed and the third was issued only in 1992, fifteen years after the number was assigned. Previous article by Jack Cashill: Think You Know How Evil Bill-Hill Are?